Haruto Soma was the only survivor of a dark Solar Eclipse ritual which saw the creation of a legion of monsters known as Phantoms. Assuming the likeness and identities of those humans they emerged from, Phantom's invade the world of humans and use magic to wreak havoc. Only one man can stop them, the one who faced despair head on in the light of the eclipse and emerged to gain the power of magic from his hope. Haruto Soma became Kamen Rider Wizard! 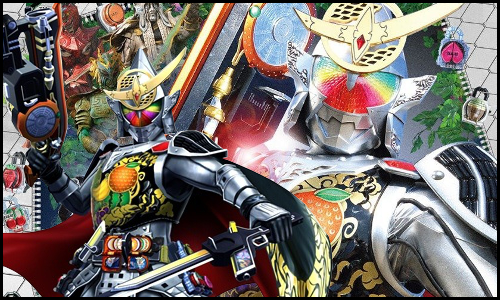 Believe it or not, 2012-13 is the home of one of my favorite rider shows, Kamen Rider Wizard. The show gets derided often, but I've never felt that way about it. It was entertaining, had good music, a really enjoyable cast, some great twists along the way, and probably the most sensible and organic suit design and evolution of any series other than Kuuga. It's good stuff, and I've been waiting years for a new line of figures to properly represent it. Now that Shinkocchou Seihou has really taken off as a subline of premium renewals, and after having been shown off at multiple events leading up to it's release, Kamen Rider Wizard Flame Style has been reborn! ** This is a massive 100+ image gallery spread across the first 3 posts of this thread. Be sure to check it all out! The familiar Shinkocchou Seihou slip cover box makes another appearance! Not much can be said about it this time that hasn't been said before. It's gotten a bit stale (to me) over time but it's still a pleasing type of collector's box. 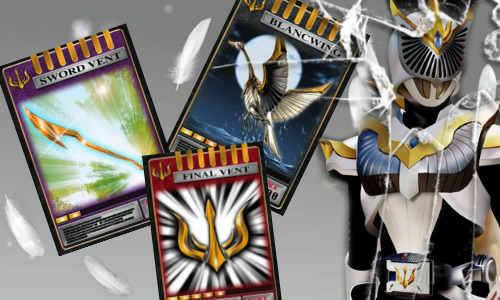 Wizard features the now standard Bandai Spirits blue logo as well as the holofoil Tamashii Nations brand sticker. Where to start? The original SHF Wizard has been spoken ill of for years. Essentially from the time it was released, pretty much forever. And rightfully so. Original Wizard was plagued by a number of issues including, a driver that perpetually fell off, incorrectly shaped and colored suit details, a stumpy torso, clown shoes, and just generally squashed and distorted proportions overall. Seihou Wizard goes above and beyond fixing every single one of these issues. For starters Seihou Wizard is a gorgeous figure, even statically posed. Just straight out the box standing upright, this thing looks gorgeous. This is a figure than looks like a suit on display at a Toei event. They've really and truly nailed this one. Looking at the figure, you can see that the legs are about the same length as the original, which is to say the original had a ridiculously short and stumpy torso. The Seihou's legs are thicker and more muscular over all, and are thankfully articulated much better. The hips now feature a thigh swivel, though one that's weirdly limited to roughly a quarter turn in either direction. In another course correction the new knee joint is designed so that the knee cap armor is above it, rather than the middle, giving the legs a more accurate look when posed. The feet and ankles have likewise been designed with full function in mind. The ankle tilts are far more free while the actual feet are no longer clown sized, Thanks to new toe bends they function better as well, and the details on the sole of the shoes has been fully sculpted and painted this time as well. Of course the biggest improvement of this entire release is the Wizard Robes. These are absolutely wonderful, and something that was sorely missing from literally every Wizard Figuart before this. And has sorely been missing from other recent releases like Kamen Rider Cronus. These new robes are actually two halves of fabric that are glued together with a poseable wire running along the entire contour. I will say that the edges of the fabric have some fraying to them that bothers me, but at this scale I think this has been done as well as possible. The wire allows the robes to be posed in really fantastic ways, making it look naturally windswept or tussled as necessary. I think the photos speak for themselves, these are the ideal way to recreate Wizard's Robes, and are far better than the rubbery plastic interchangeable bits the old one had. On the waist is of course the Wizard Driver, which I'm happy to report is fully functional. The sliding mechanism has been recreated so that when you simultaneously move the blocks on either side of the face, that the driver hand spins accordingly. The Ring Holder on the left hip is also quite the highlight. All of Wizard's standard Rings are included as separate accessories (which I'll detail further below) and can be plugged into the belt. Each time you change the ring on the corresponding hand, you can plug it safely and snugly into the holder for storage. The upper body is a real marvel as well. As you can see, the way it's designed is a total reversal of the original. Instead of a tiny ab section floating below a bulky chest, the entire torso is two more properly sized halves. The jewels lining the exterior of these pieces can slide up or down slightly, in particular those along the chest. Much like how Seihou Amazon & Kabuto have pectoral parts that move to accommodate the rest of the way the body moves. The entire assembly adds up to a way more useful and functional figure than we ever had before. As with everything else, the arms are far superior to what came before them. A bit longer and more evenly proportioned to the main body, Wizard's arms feature a bicep swivel as well as a far better elbow joint that allows you to bring the arm in right up against the body. The sculpted in fabric style detailing is also done a bit differently this time, and makes things look much more natural than before. The only odd thing I can say about them, is that Wizard does not come with close fists attached. In fact, he only come with one closed (right) fist at all. The standard hands he has out of box are relaxed open hands. That's just a new thing, Figuarts pretty much always come with closed fists attached so that was a bit strange. No matter what hands you're using with Wizard, every single one of them has a small peg hole that can accommodate any of the 8 Wizard Rings he comes with. Be *VERY* careful when exchanging the rings, it will require more force than you're probably aware in order to plug them in in the first place. And if you don't them all the way in and flush with the hands, they could potentially pop out. It's a super tight fight, so just be very careful with any of them. I haven't found any hands which are easy to do this with. I should also mention that the shoulders are designed far better this go around. Instead of just being pads on a hinge built into the torso, this time they're built into the arm on a ball joint. So they move with the arm, but can also be rotated in a way that lines them back up with the body pretty well too. Last but not least, the crowning jewel so to speak. Wizard's helmet looks better than ever. For once it's the appropriate size and shape relative to his body, the details are much more finely sculpted and painted, it just really sets off what is already a really magnificent figure. I'm bothered a little by how some of the side to side movement is lost because of the collar around the neck, but this is a really minor issue. Overall the entire figure is just, unimaginably better than what we had before. Wizard has needed a Seihou more than almost any other rider, and I'm glad he finally has it. Wizard comes with quite a lot, but I do still find him lacking some essentials. 10 - alternate hands. Just about every thing you need. Hands for holding weapons, rings, & bike handlebars. Open hands to place in front of the driver or use for expressions. But only 1 closed fist which is still just perplexing to me. Each is just as difficult to put a wizard ring on as any other as well. 8 - Wizard Rings. That's rings for, Flame Style, Hurricane Style, Land Style, & Water Style. Any of which should be used on the left hand. And rings for the standard Driver On, Kick Strike, Dragorise, and Connect. All of which should be used on the right hand. If for some reason you don't want to properly store them on the ring holder on the belt, the gray plate they come attached to in the box is great for storage. 1 - set of WizarSwordGun parts. Rather than including the Gun & Sword modes as separate items as the original figure did, the Seihou opts to make interchangeable parts for either mode. I have to say, I prefer simply having two separate weapons instead. Mostly because of just how tight the fit is exchanging the Gun & Sword parts. Particularly the gun parts. I really feels like that's going to break one day by mistake. Regardless of my feelings, both weapons do look more accurate and scale better to this figure, both also have the same type of opening hand on them so Wizard can execute Shooting & or Slash Strikes. Now with all that said, it's great. But it could be better. Traditionally, Seihou releases are limited in the number of accessories they can come with because they all have a uniform package size and design. They're all identical so there's no deviation to accommodate bigger accessories. The original SHF Wizard line-up would eventually go on to release a massive accessory pack, basically all the important stuff of which I used in this gallery. It had Pla-Monsters, seal effect parts, flame and water energy effects. A giant hand. It was great. So I'm really glad I picked up that old effect set for like $10 a year ago or I'd be more upset that none of that stuff comes with Wizard. I'm also a bit bummed out that Seihou Wizard doesn't come with the same kind of themed Tamashii Stage as the original one, but even then that's to be expected. Seihou's never come with those. I just feel like there was a lot more this figure could have come with that it didn't, simply for the sake of the uniformity of the line. I can't say I ever expected Wizard to get this kind of love in figure form. Not after the lukewarm response many people seemed to have towards the show when it aired. But Bandai has finally begun righting the wrongs of that original Wizard SHF line with this new Shinkocchou Seihou. I hope and expect the various other Styles & Dragons to eventually make their way out, but that could be some time. Given the 4 year gap in Kabuto releases, the same of which can be said for Hibiki, it could be a while. But generally once the flood gates open, they really open and Bandai does release after release. Only time will tell. But I'm very very hopeful. Kamen Rider Wizard is possibly the best Seihou the line has to offer yet. Last edited by Den-O; 12-16-2018 at 12:27 PM..
- Water, Hurricane, Land, Please! Last edited by Den-O; 12-16-2018 at 12:30 PM..
My first impressions on this guy in-hand were very negative. The teeny-tiny rings are a joke, handling them is a nightmare. They should really go back to just molding stuff like this in place. And the cloth, while undoubtedly better than a plastic shell, isn't really fun to work with either. Maybe it's because I'm too careful but bending those wires feels unresponsive, I can't quite get them to do what I want. I don’t really feel like giving it a second try yet either, so for me this is actually the worst Shinkocchou Seihou release yet. Objectively it's nearly flawless as a figure but for me personally it's not really doing anything. Wizard was my first series I watched at airing, and it's wonderful to see it get love. The suits are one of the highlights of the series, and to see an SS release makes me smile more than I probably should at an action figure being released. Kudos Toei, you made my day a little brighter. Also, Phoenix, totally forgot they made a figuarts of him. Those truly were the days. I've been pretty eager to see how the cloth cape turns out given how allergic Bandai has been to them in general. Looks pretty spiffy! Never bought the original Figuart myself, but I have heard the complaints. Nice to see they addressed those complaints with this release. I always like Wizard's design and it looks great here. Although you lamented the lack of some of the accessories form the Wizard Effects Set, your photos suggest you already discovered that the new Wizard's hands can hold the weapon accessories for that set, and thus, their related parts. Am I correct in seeing that the "Kick Strike" part also fits? I haven't tried it out. Also: it's never occurred to me to just remove a hand and fit the "Connect, Please" effect onto the peg. You made it look great! And oh, gosh, the comparisons to the original Wizard and Beast figures are just... stark. Yeah basically everything from the old effect set interacts perfectly with the Seihou. No issues at all. Kick Strike is a tight fit, but it does fit. It's well worth picking it up, I lucked into my set for like literally $10 last year shortly after Seihou Wizard was first revealed.